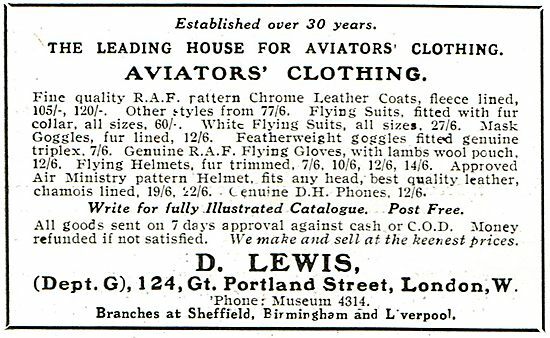 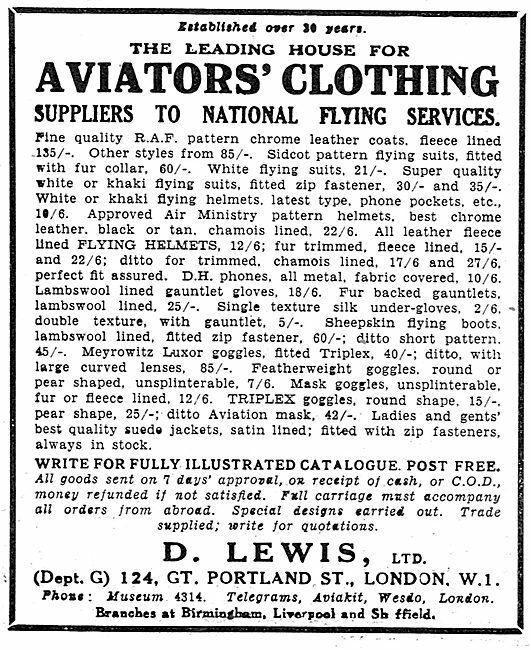 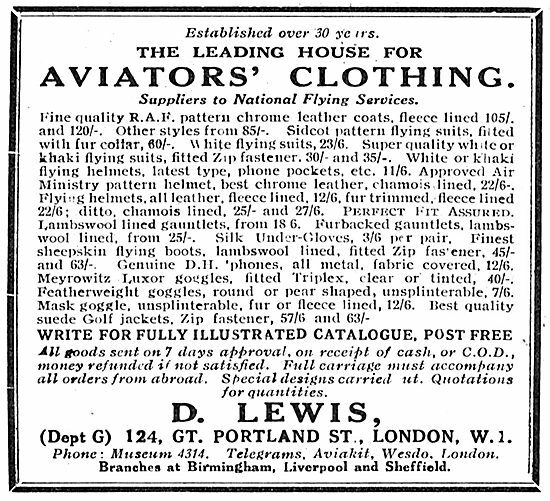 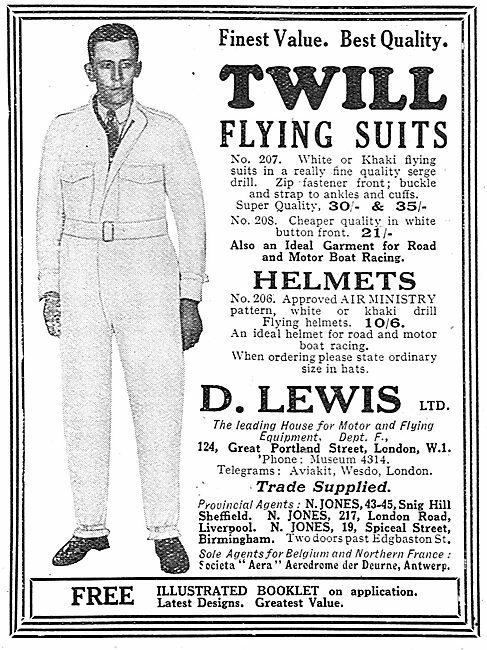 D Lewis The Leading House For Aviators' Clothing. 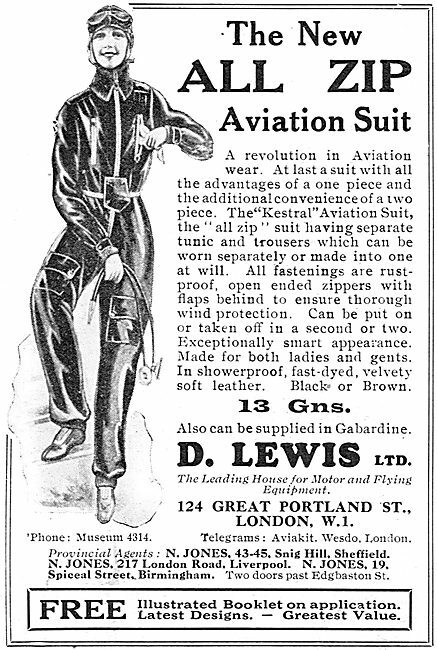 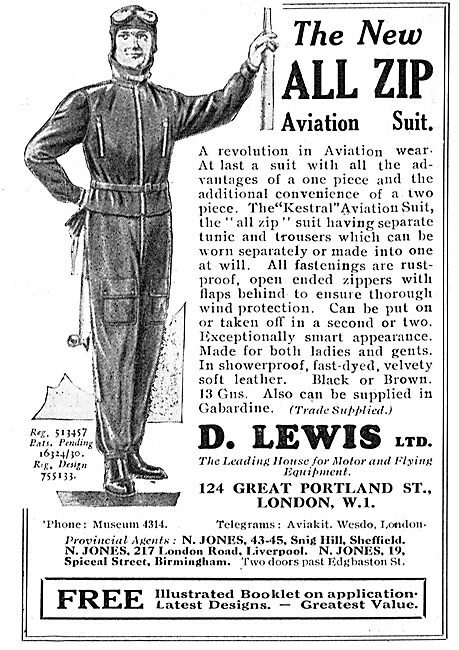 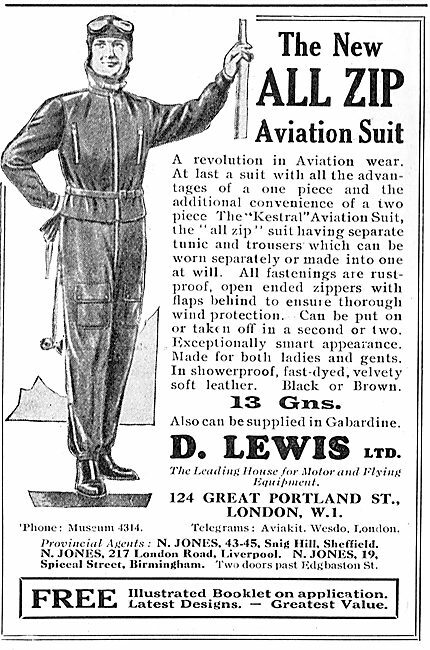 D Lewis Aviator's Kestrel Flying Suits For Ladies. 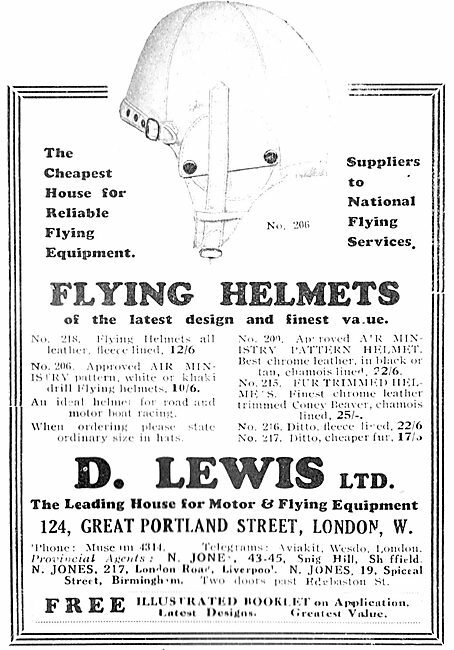 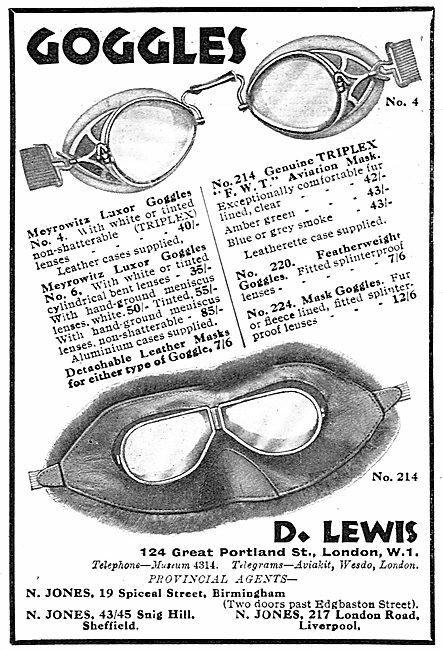 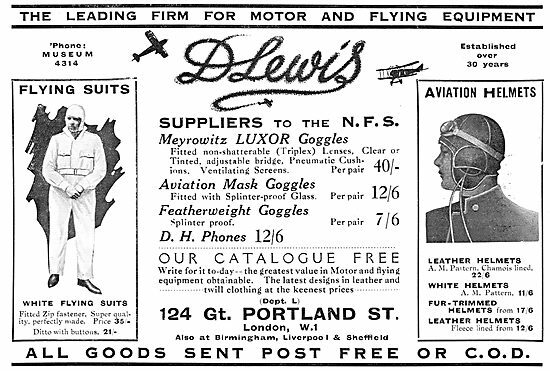 D Lewis Aviator's Flying Goggles.